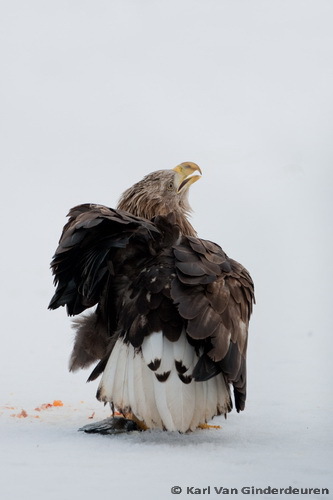 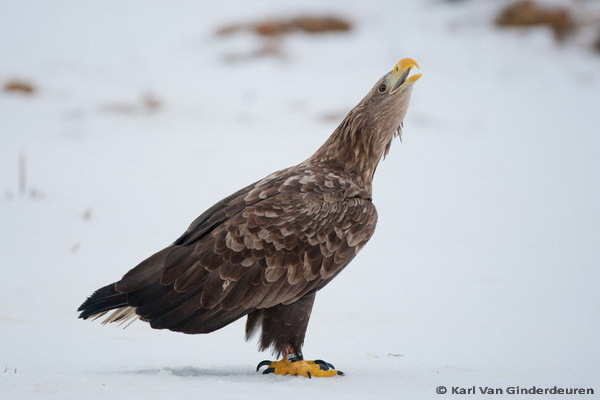 A few weeks ago, I had the chance to visit a white-tailed eagle monitoring station in Sweden together with Jan. At this station Swedes have been conducting research on (colour) banded eagles for many years, resulting in detailed knowledge on migration and wintering strategies of these mighty raptors. 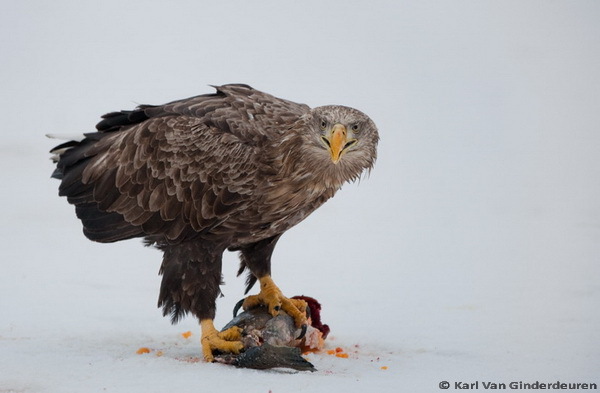 Very spectacular this place, on good days more than 100 eagles are present. 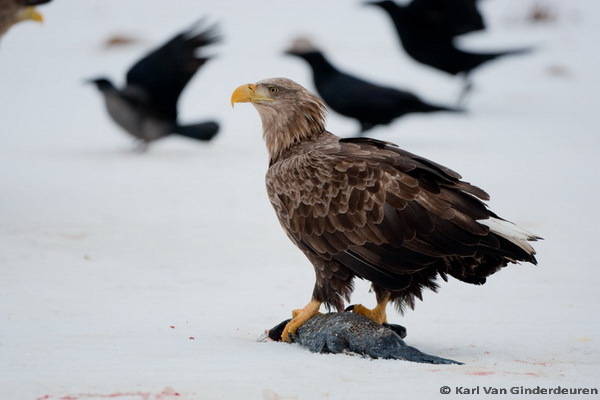 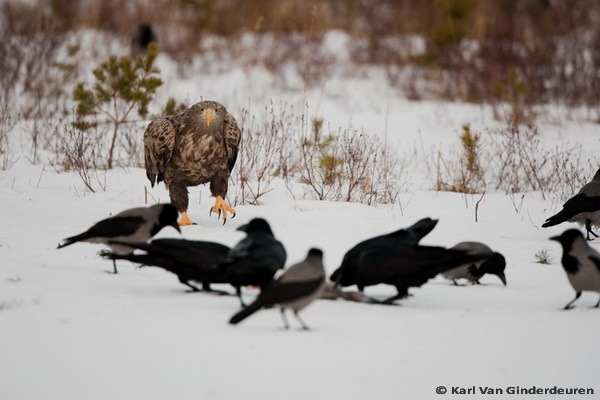 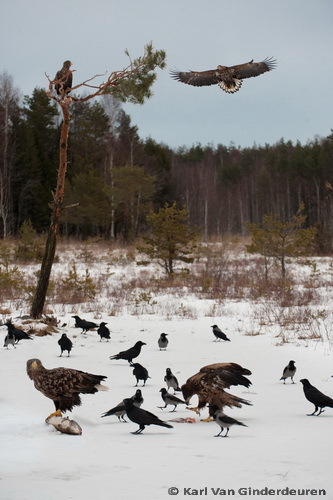 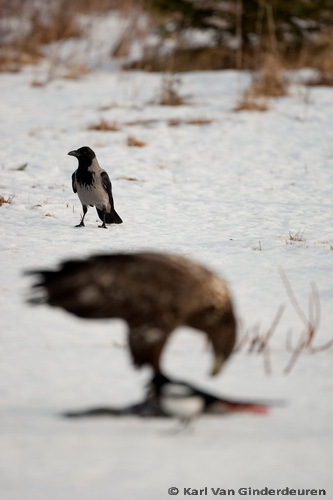 In Europe, the breeding population of sea eagles is estimated to number 5000-7000 breeding pairs. 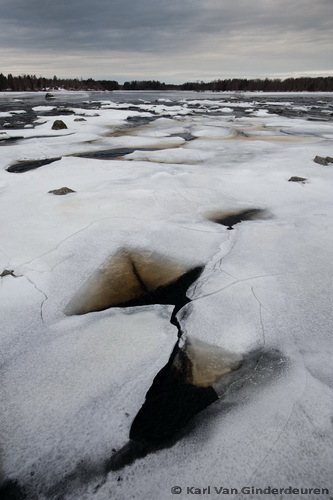 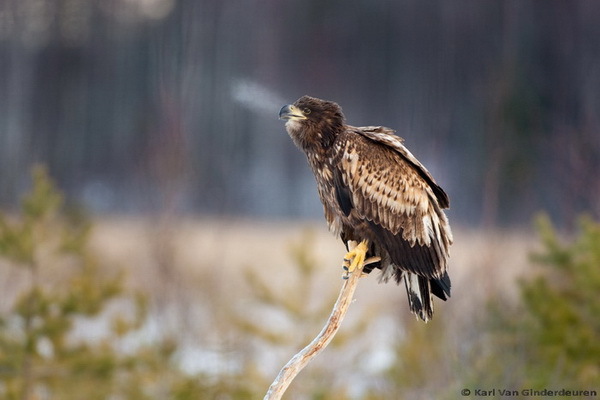 They require large and open expanses of lake, coast or river valley, within the boreal, temperate and tundra zones, nearby to undisturbed cliffs or open stands of large, old-growth trees for nesting. 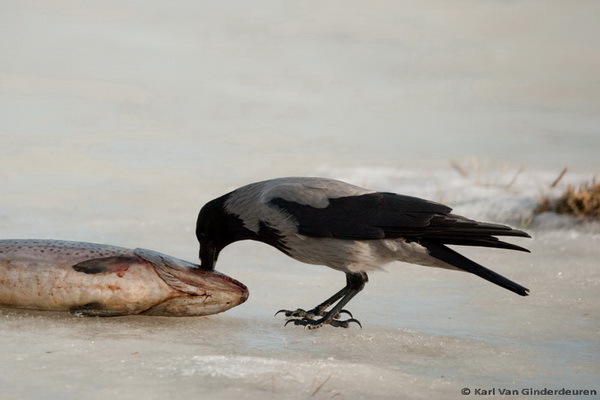 Their food sources constitute of vertebrates (fish, mammals and especially birds), from marine, freshwater and terrestrial environments. 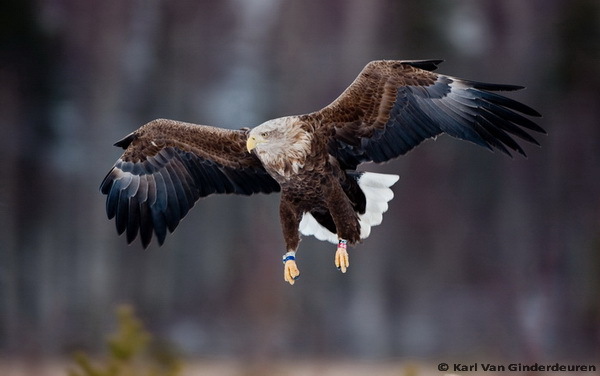 This eagle is mainly migratory in the north and east of its breeding range, but sedentary elsewhere. 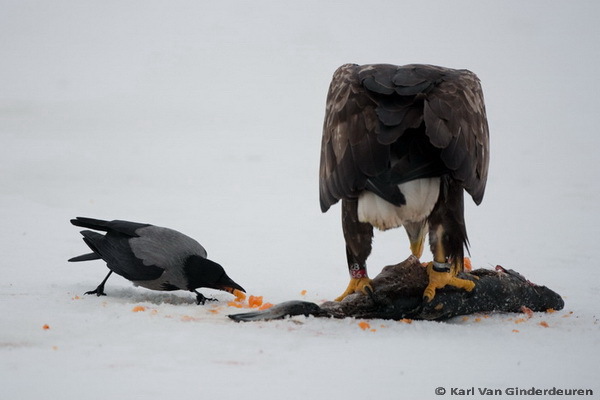 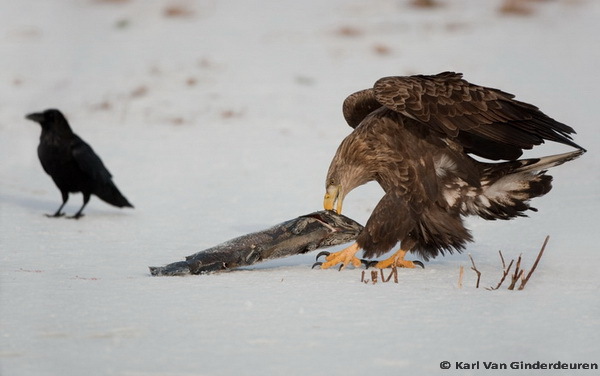 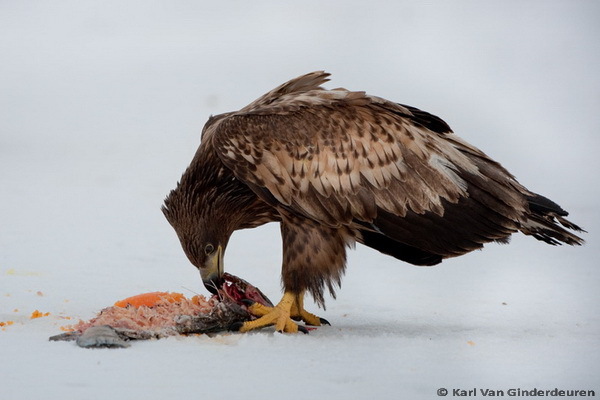 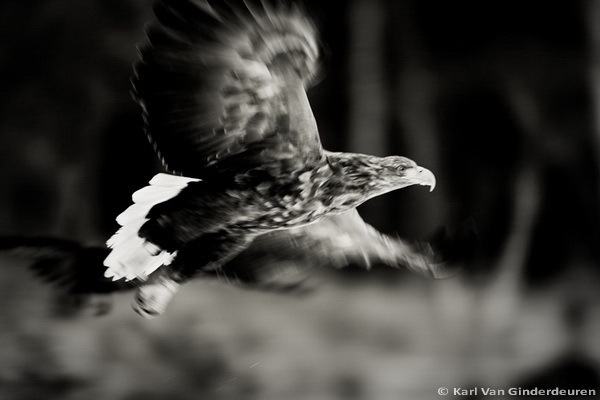 During the period 1800-1970, White-tailed Eagles in most of Europe underwent dramatic declines, and became extinct in many regions of western, central, and southern Europe, while Norway, Germany, Poland, and Iceland harbored the largest surviving populations. 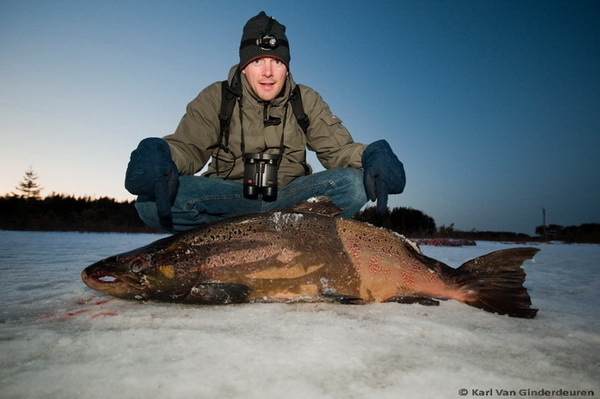 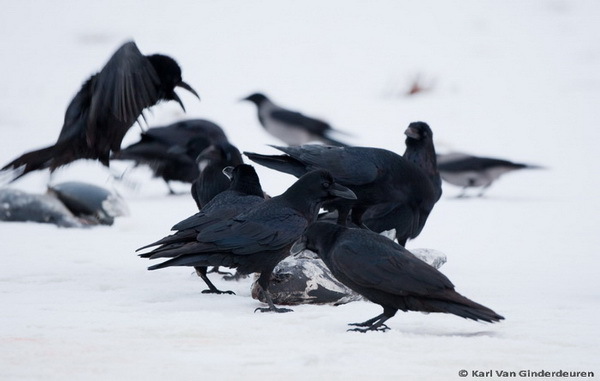 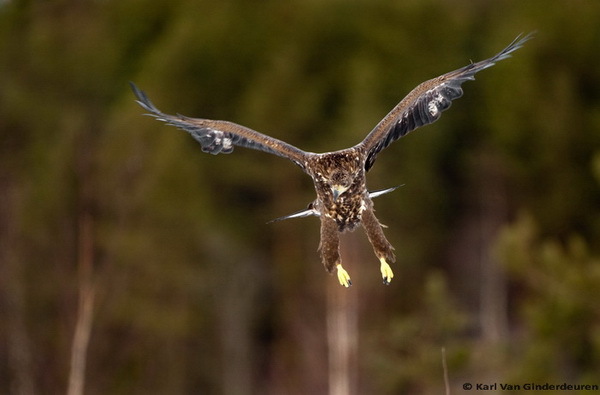 Intense conservation actions throughout much of the remaining European distribution range (legal protection to decrease hunting, protection of breeding sites, and winter feeding) led to a recovery of many local populations. 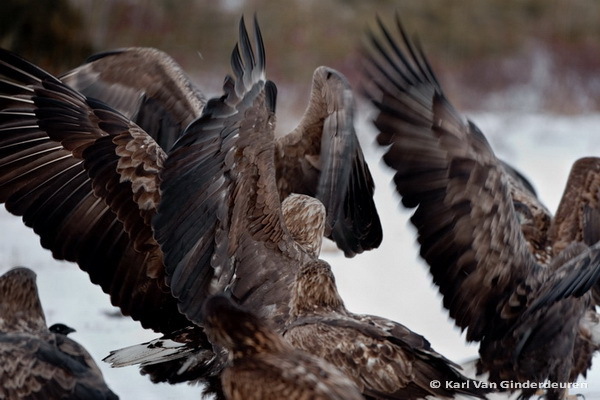 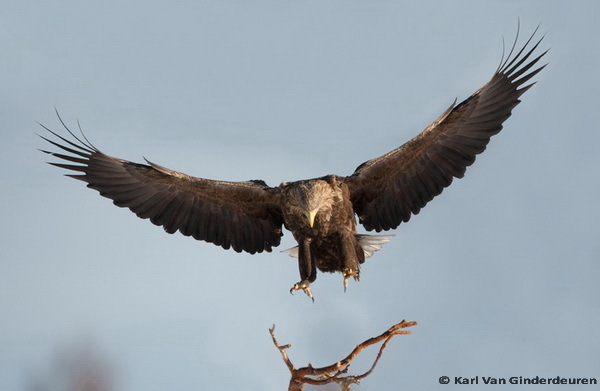 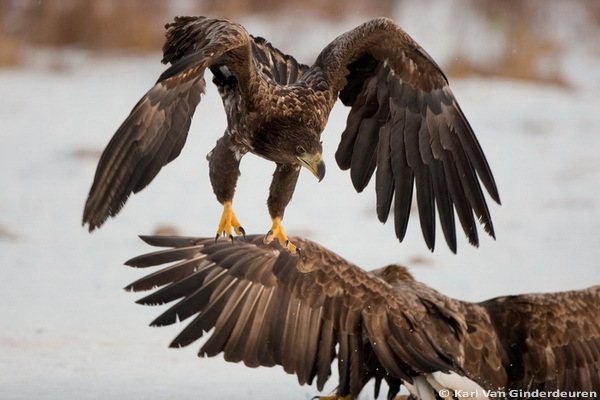 Since the 1980s, the European White-tailed Eagle population has recovered steadily, and is spreading back westward. 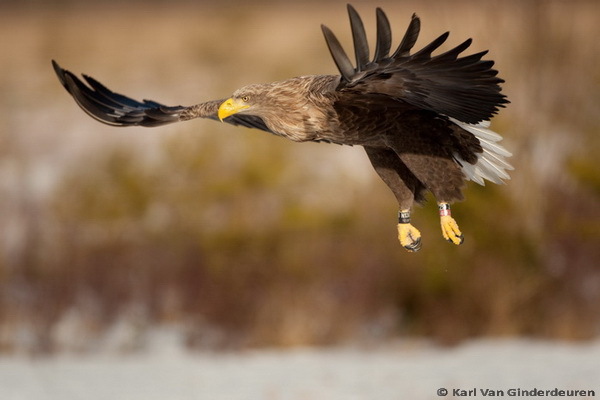 In the Netherlands there are currently at least three occupied nests. 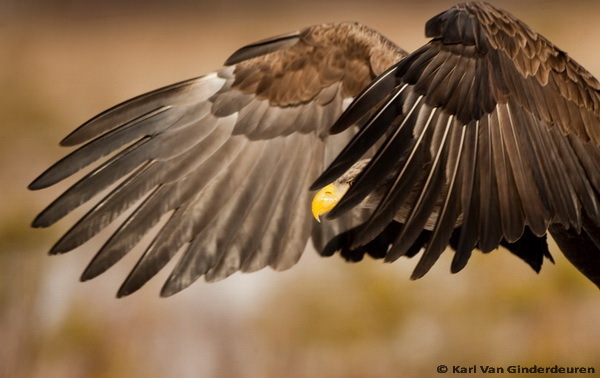 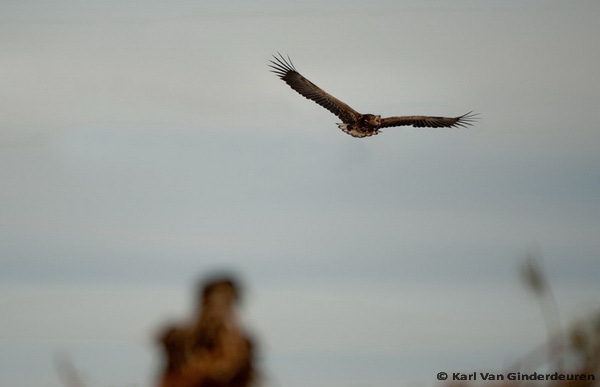 Specialists consider this species to be the first eagle that will come to breed in Belgium within the next years.